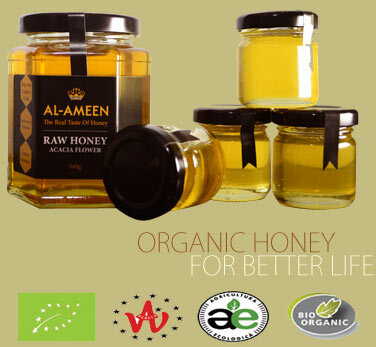 Al-Ameen range of exclusive Honeys is fully certified and our beekeepers are in full conformity with the conditions and regulations for the Organic farming sector. Organic Standards and what the symbols mean below is that our beekeepers are inspected annually, as well as being subject to random inspections. From production to harvesting, strict controls are adhered to by our ethical beekeepers who work hard towards maintaining sustainable agricultural organic farming procedures. Al-Ameen and our beekeepers also keep detailed records ensuring full traceability.